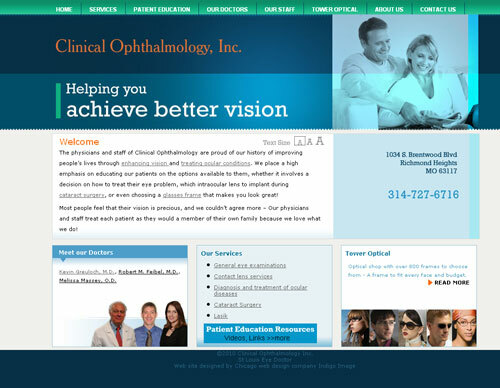 Launched today is a new web site for Clinical Ophthalmology Inc of St Louis. We completely reworked their old site, creating a fresh new look which is easier to use and offers the site visitors lots more information. The site also features a text size adjustment tool to help those who need a larger print to read. Just in case you were wondering this is what the old site looked like. ← Do you need a professional Web Designer?